Notting Hill Gate Library had a busy October this year, which included our Halloween display and the first Halloween Story and Craft Event on Saturday 24th October. This was a great opportunity for the children to dress up as their favourite characters and celebrate the holiday. The turn out was great and the afternoon was memorable. However, this could not have happened without the help and support from both parents and our kind volunteer Karima, who is a Primary School Teacher. We began the afternoon with a scary story called Spooky House by Roger Priddy, in which we all participated in the reading together. After this, with the help of Karima’s teaching experience, we explained health and safety measures to the children. With limited space in the Library, sitting on the floor worked to our advantage as it brought everyone together. The children were hooked in the making of their spider webs and loved the challenge when weaving the wool. After this, we had played a game of pass-the-parcel which engaged everyone’s attention, including the parents who also joined in. To promote healthy eating, we created our very own pumpkins from oranges (the pumpkin’s body) and celery (the pumpkin’s stalk). In addition to this, we also made ghosts from bananas and raisins were used for the eyes. It proved to be a success. At the end of the day everyone was sad the afternoon was over, but were cheered as each were given Halloween goody bags filled with raisins and a Halloween activity booklet. Come along and join us for our next Story and Craft event on Saturday 21st November 2015 but please book early to avoid disappointment! We had a great summer at Kensal Library! The Summer Reading Challenge was enjoyed immensely by all who took part. The craft sessions were popular and everyone had fun making paper dolls, sunflowers, crowns and paper planes. Our crafts were tied in with the Summer Reading Challenges theme of Record Breakers, so longest paper chain, tallest sunflower etc. Well done to everybody who read all six books and collected their medals and certificates! Another craft that proved fun was our regular Saturday craft (2nd Saturday of the month). We read a book about dinosaurs and then made a great squishy dinosaur T-Rex. One of the best events we had at Kensal this year was our Dormouse Tea Party, to celebrate 150 years of Alice in Wonderland. It really was enchanting, with a beautifully decorated table and fun healthy food. We had some nice comments from the parents and children who attended. The children listened to some of Alice in Wonderland then we had some games and activities like making our own bunny ears, colouring in red roses and making our own decorated teacup pictures to stick on our drinking cups. The children then sat down for tea, sandwiches, fruit tarts (with a squeeze of naughty cream) and fruit kebabs and juice. We had five copies of Alice in Wonderland chapter books and five copies of Alice in Wonderland picture books to give away which were much appreciated. Also we had a selection of quirky hats which was a lot of fun with everybody trying on different hats! And look at the beautiful autumn wreaths we made for our Saturday craft session, gorgeous colours. And of course our very spooky Halloween display! I see Ken the Kensal spider has been busy over the summer eating lots of flies. He loves our display so much he’s decided to hang around…..! Spotlight on Halloween: free set of Encyclopaedias with every library card! Many children will be learning about Halloween (also called All Hallows’ Eve), which takes place on October 31, as well as Bonfire Night, on November 5. Take a look at our Spotlights on each of these topics to help with homework and school projects! 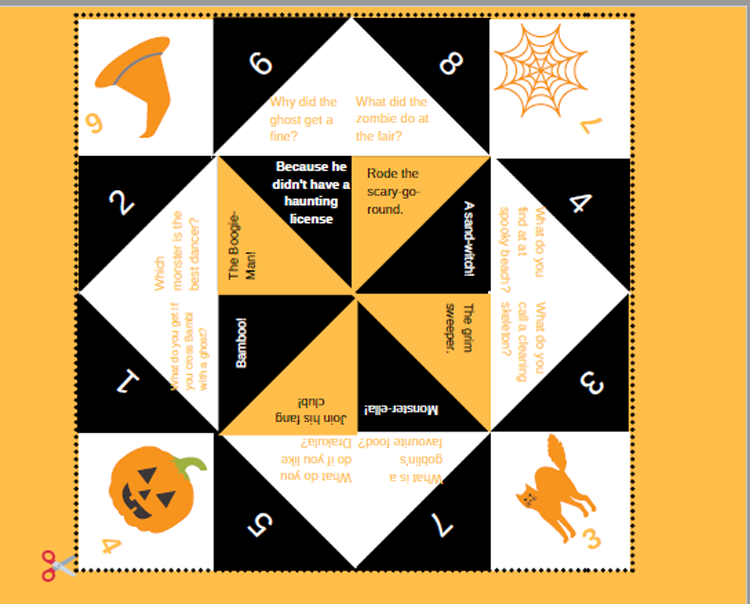 Children can read the Britannica article about Halloween, and check out the Activity Centre where there are printable puzzles and games, including colouring pages, word searches, crosswords, a quiz and even a step-by-step guide on how to make a witch’s hat. 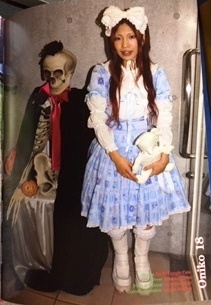 Please click here to visit Britannica’s Halloween article. On November 5, bonfires have been lit across the country for over 400 years – but why? We have an interesting article about the details of Guy Fawkes and the gun powder plot, plus many activities and colouring to keep children entertained! Please click here for Britannica’s spotlight on Guy Fawkes. Britannica Junior contains comprehensive content for primary school children aged 5-11. Whether it is frogs or physics, gardening or geography, Britannica Online Library Edition covers it all. To search the full Library edition of Britannica you will need a Kensington & Chelsea Library card and your PIN/password. There are three editions – for children, select Encyclopedia Britannica Junior for a simplified version of the subject. Happy Hallowe’en from Kensal Library! As the air chills and the leaves dance in the wind, the local children seek solace in our cosy Kensal Library and a lot of them seem to be planning their Hallowe’en costumes and organising trick-or-treat routes. We’re planning a craft session (today at 4pm) for this devilish celebration. Ghouls, demons and toilet-paper-covered mummies are all invited. I vamped up the display in orange and black while our young customers helped me choose the most spine-tingling reads, and what a choice there was! This got me reminiscing about some of my all-time favourites with a scare factor that will have you checking under the bed for monsters. So, reader, in the words of the author of my first book, I urge you to beware; you’re in for a scare. If you’re in your 20s like me there’s a good chance your nightmares were littered with Goosebumps references. Other greats include Say Cheese and Die and Secret Agent Grandma. You’re invited to choose from over 20 spooky endings. In this book you buy something called ‘vampire in a can’. At first you think it’s just a normal vampire costume, but then you notice a packet in the bottom of the can labelled ‘DANGER–KEEP AWAY!’ It’s compelling and there’s the thrill of knowing you control the outcome adds to the suspense. In this collection of poems Dahl lends his trademark dark humour to reworkings of fairy tales. If you think Little Red Riding is meek and scared of the big bad wolf this time then you are in for a shock. In this spooky Sherlock Holmes crime novel set largely on Dartmoor in Devon, Watson tells the story of an attempted murder inspired by the legend of a fearsome, diabolical hound of supernatural origin. This was the first appearance of Sherlock Holmes after his intended death in The Final Problem’, and the success of The Hound of the Baskervilles led to the character’s eventual revival. New York Times’ best-selling author Neil Gaiman’s transcendent series SANDMAN is often hailed as one of the finest achievements in graphic storytelling. Gaiman creates an impressive tale of the powerful magical forces that exist beyond life, death and far off into other worlds by weaving ancient mythology, folklore and fairy tales with the everyday experiences of seemingly normal people. The stories and lives of a colourful array of characters weave throughout this dark fantasy published by DC and comprising ten volumes. In the Gothic classic The Turn of the Screw Henry James tells the story of a young governess who moves to a large, secluded house to look after two young orphans. She soon starts to see apparitions of the former governess who has died amid scandalous rumours, and the dead servant who had terrorized the house before her arrival. Much of the suspense is ambiguous; we do not know if the ghosts are a very real evil, or if they mark the downward mental spiral of the protagonist. It is difficult to determine the ongoing evil which is hinted at in the book, and this unease and confusion make for a tense read. The unresolved explanation leaves the reader with many unanswered questions; these left a lasting impression on me. Was the evil real or a delusion? It definitely helps that the two young orphans are decidedly creepy; we all know the use of terrifying children is a classic go-to tool in any horror story. We were so impressed with the monthly blog post from our colleagues at Brompton Library that the staff at Kensington Central Library decided we just had to join in! Each month we’ll tell you about the fantastic services on offer at the central library for the Royal Borough of Kensington and Chelsea, such as any special events we’ll be holding and we’ll also introduce you to the staff. 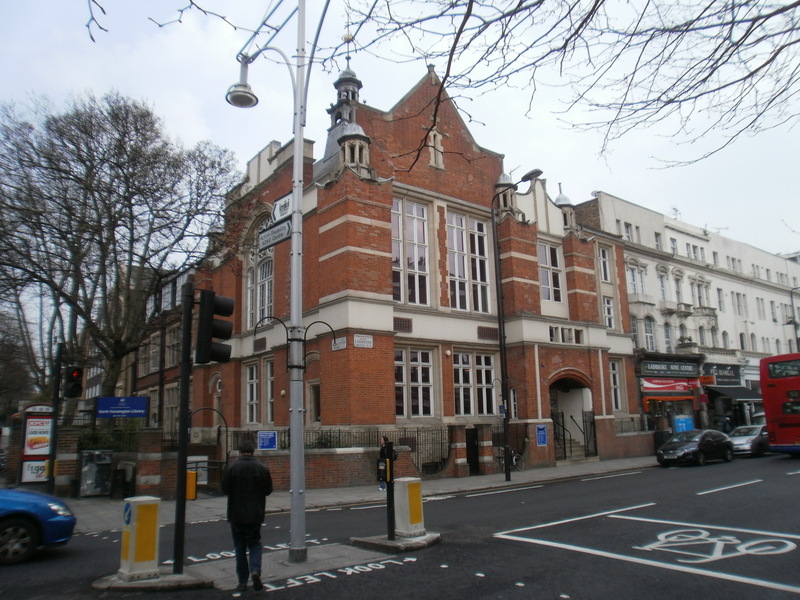 We hope you’ll enjoy finding out more about Kensington Central Library but please do let us know via the comments section if you’d like us to cover anything else. As part of the new Tri-Borough structure Kensington Central Library has a Lending Librarian, Jodie Green. I look after all lending stock at Kensington Central Library – this means all the items you can borrow from the library such as books, CDs, DVDs, audio books and even eBooks! If we don’t have an item which you think we ought to have in stock, we have stock suggestion books in the adult and children’s libraries- please just speak to a member of staff & they’ll jot it down. Looking for something to read in a hurry? We always have a display of books recommended by our staff, it’s right by the new enquiry desk near the library entrance. Our group at Kensington Central Library meets in the evening, on the third Monday of each month to discuss their latest read. At the moment, the group benefits from private use of the Local Studies area after it closes, where they can freely enjoy a round table discussion. Attendance averages between 8-11 members, with a good mix of age and gender, which makes for lively debate. It’s sometimes a shame that I have to remind them when the library is closing – whereas I’m sure they’d happily continue into the night! Each month, at the end of the session, the group hand me a list of titles that they wish to read. It’s my job to source as many copies as possible of their preference, in time for the group’s next meeting. Kensington Central Library’s Reading Group is open to all and welcomes new members. This month (November) the group are reading ‘Cider with Rosie’, by Laurie Lee. It’s not necessary to register – so if you like to talk about books, why not pop along and join in? Although Halloween was the previous day, the children’s area in Kensington Central Library was home to spider-webs and spooky goings on for the half term story and craft session. A story about a witch’s cat grabbed the attention and imagination of the twenty or so children who attended, inspiring them to decorate a simple cat-shaped mask with spangles, fluff and colours of their choice. A great time was had by all, and with the promise of another story and craft session over the Christmas holidays many will be back again to hear a tale and make something lovely to take home! I was the storyteller and I was helped by 3 other members of library staff and various parents and guardians! A witch reading a story at Kensington Central Library! I will introduce myself and what I do at Kensington Central Reference Library in the next blog post but I wanted to tell you about a brilliant event that will be happening next week. On Monday 12th November, 11.00am-6.30pm the Open University will be here. If you haven’t studied with The Open University before, or you have had a few years away from study, this event is for you! Come along for an informal conversation to get answers to your questions about qualifications and modules, study methods and other aspects of learning with The Open University. No appointment necessary- just drop in. I have been involved in the training of the library staff in using the self service kiosks that have recently been installed in the library. This means that staff are able to confidently support customers with the new technology. The new sorter machine which is used to return library items is proving particularly popular with children who are enjoying returning their books, CDs and DVDs this way. We have had lots of positive comments from customers about our new look lending library. The children’s and young people’s library is currently undergoing building works and both our customers and our staff are looking forward to the reopening of it before Christmas. Whilst this space is being made brighter and better, we are still offering a range of children’s stock in our temporary children’s area and continuing with our extremely popular baby rhyme time and storytime sessions.